Your brand is what people think and feel about you (or your company). That’s the bottom line. The most important thing I can note here is that whichever one of these things is your first impression, it’s very important that it’s a GOOD first impression. It’s hard to recover from a poor first impression if you don’t have a lot of street cred at this point with a new endeavor. Today, a lot of people will tell you that they’re going to sell you their secrets of how to build an online empire through online marketing. Obviously I’m a huge advocate of online marketing myself, but I can tell you through years of personal experience and experience with other companies – if your primary clients are within a 50 mile radius of you, you need to get out and do some face-to-face to jump start your audience. Networking events, social and political events and mostly, speaking engagements, if you can get them, are excellent ways to build your new brand… or reposition an existing one. What you wear and how you present yourself is incredibly important for that all-important first impression. 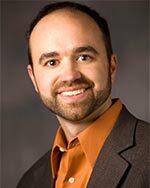 Joe Pulizzi, founder of the Content Marketing Institute, always wears something orange in celebration of his company color. It’s become a “thing” that he’s known for. In other words, it’s become an important part of his brand. His dress is a cross between professional and playful – it says that he’s a true pro that doesn’t take himself too seriously. 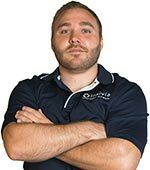 Another of Cleveland’s premier online marketers, Andy Halko, founder of Insivia, is most often known for his casual appearance, and this is a smart reflection of the young and progressive image (brand) of his company. Most importantly, both of these gentleman engage with friends, acquaintances and strangers with graciousness and openness. Being authentically yourself puts others at ease, and when everyone is at ease they are appreciative. And appreciative people enjoy helping each other. We’ve all heard it before: we do business with people we like. But, if you’re a rock star or reality star, maybe aloofness would work for you. But most entrepreneurs find that building bridges makes getting to the other side a lot easier. Remembering names and faces provides a huge advantage in social settings. And this is a huge problem for me! I often… way too often, forget the name or face of someone that I’ve met before. Being well aware of the importance of this, I’m sure my discomfort comes across and that doesn’t do my brand, and my service’s brand, an ounce of good. I’ve been working on word associations for years, but it’s still a problem for me. These items are more frequently than not the closers of your credibility. At our stage in the game, someone is probably receiving your business card because you’ve had a welcoming engagement with them. Is it on that cheap paper with bare bones info in cracked ink from your inkjet printer? This says that you don’t feel you’re worthy of professional cards. On the other hand, if your business card sports a logo, colors and slogan that is appropriate to your brand, it’s likely going to be greeted with a smile, full examination and further questions about what you provide – a closer on your path to credibility. Not only that, but I typically use the business card as the breeding ground for my branding development of companies. This simple 3.5 x 2″ piece of paper can pack a lot of power when taken as seriously as it should. And you should always use the back of it as if it’s a small ad. I’ll just mention briefly again that a proper slogan can be the single most important aspect of your brand that isn’t you yourself. This one probably is more obvious than your business card. But I still find it amazing that such an important aspect of one’s branding can so often be treated as an after thought. Your website doesn’t need to be fancy to be credible. It’s kind of like your office – if clients are entertained there and it’s a mess and disorganized, it sends a clear message (hint: not a good one). But, if it’s simply appropriate, it provides credibility to your first impression. Speaking of credibility… here’s the best kept secret in online branding: your “About” page is where virtually everyone goes if they’ve been seduced beyond your landing page (usually homepage). I’ve studied Analytics of my sites and my clients for a lot of years. Prospects are going there to win or lose your trust. Take your “About” page very seriously. This again may seem obvious that your social media profiles are important to your brand, but how seriously have you taken it at this point? Have you even taken the time to develop, or have developed, professional-looking profile pictures and backgrounds? Do you have a “company page” on Facebook? LinkedIn? GoogleMyBusiness? Are people going to find political rants or excessive kitty pictures on your profile? Worse yet… spam? You should devote 80% of the content that your prospects will see to helpful tips that will brand you as a thought leader in your niche. There are real considerations to be had here, and as entrepreneurs I think that there’s a very strong argument for creating a new personal page with a nickname that most people wouldn’t think to search – invite your existing friends and family to this one. Then use your “proper name” personal page as your public profile. If you’re breaking out in an industry where exhibiting in trade shows are beneficial as my friend and client, Brian Hall of BCHSafety.com has found, then you need to come armed and ready with a GREAT first impression: A trade show display that isn’t dwarfed by your neighbors, and business cards and brochures that can confidently add to your dynamic brand. Make sure that your website is worthy of backing up this first impression. You’ll get a huge spike in activity as prospects that you just met and they will be comparing you to your competition. A trade show will typically not only give you a good number of warm leads from people that you engaged with, but you’ll usually get the full attendee list as well that you can use for future, creative marketing efforts, so make sure that your brand is fully flashed out to take advantage of it. Subscribers to this mailing list have access to my free eBook on branding, “Better Branding in the 21st Century” – available here as well. It’s a quick read with lots of examples and a thoroughly defined look at branding. Previous article: << “For Purpose Companies” – Inbound marketing’s evolution? These are the best strategies for branding to represent your brand everywhere where you go. carry your business card when you meet with anyone to get connected by business card. Such a remarkable post about Branding.It is the best way to promote your product in surrounding of customer’s in term of digital advertising and social marketing.Branding is a vital tool that helps to spread your business on a wide scale. There are genuine contemplations to be had here, and as business visionaries I imagine that there’s an exceptionally solid contention for making another individual page with a moniker that the vast majority wouldn’t think to seek – welcome your current loved ones to this one. These are the great approaches for classifying to represent your brand everywhere wherein you cross. 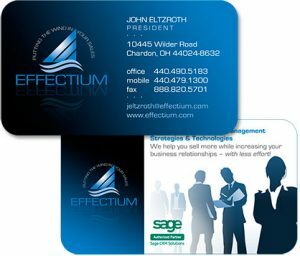 Bring your commercial enterprise card while you meet with everybody to get connected by business card. A alternate show display that isn’t dwarfed by way of your associates, and commercial enterprise playing cards and brochures which could expectantly upload to your dynamic logo.